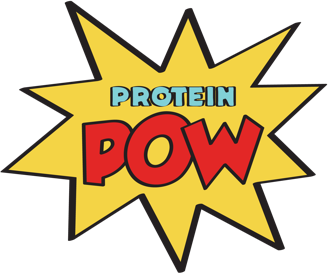 Welcome to the order page for Protein Pow(d)er: The Cookbook! You can now get it from amazon.co.uk and from there it’ll ship worldwide! Click here to get one! :-)))) My aim from the beginning was simple: to create the best cookbook on earth ;-) Did I achieve this? You’ll tell me! All I can say is that it turned out exactly like I wanted it to and that I think the final product is absolutely sky-punchingly phenomenal. But man, has this been a LONG journey! Months and months have been spent in my office going over edits and edits and more edits. I’ve condensed two years of the blog into a 98 page cookbook and it wasn’t without trials and a huge array of unexpected tribulations! Because I did it all myself – the recipes, the writing, the design, the layout, the illustration… even the eating ;-) I had to teach myself how to use InDesign after the designer I worked with fell through completely (here’s the sad evidence). I also had to sift through close to 800 of my recipes to pick (and take down from the blog) my all-time best recipes PLUS create brand new recipes to feature exclusively in the cookbook! I then drew and drew and drew! Because all the illustrations in the cookbook (including those of my friends!) have been sketched by the hands of yours truly. I went through a lot of drafts and drafts of the cover too until I arrived at one I liked. It’s a photo of me taken by Paul Corkery last November. It’s a funny pic, I know (in that I look like I have a farmer’s tan and so on) but I think it encapsulates what the blog – and consequently the cookbook – is about! And now it’s all finally done and getting sold and shipped by the hundreds as I write this. So… yeah! If you want to order a copy and dig into some of my absolute best recipes (which you can’t find on this blog on anywhere else), you can get one via amazon from here! The book is £17.99 by the way (so around $26 US dollars) and will ship worldwide so wooooo! Get your hands on a copy. Note 1: I’ll be doing a book-signing in Brighton, UK, on March the 17th if you want to stop by to get one of fifty copies (and enjoy a free protein bar from me!) Click on the pic to the left for more details. Note 2: I’ll be at BodyPower 2013 selling my cookbook too so if you plan on being there, stop by my Protein Pow Stand and get a signed copy!